As you all know, I’ve been swamped in read-a-thons, reading challenges and preparations for my road trip. On top of that, I’m a book blogger, which means authors come and find you once in a while and request to read their novels. And so did Dylan! When I looked up his novel, Interpretation, I can honestly say I was intrigued. The cover itself is one I’d like to have on my bookshelf to display and the blurb did sound interesting! Because of my schedule being completely filled, I asked Dylan to write me something, something considering… well.. Munches! Seriously, what did you guys expect? When I first started talking to Kathy, here at Books and Munches, she asked me to include a bit about with which food I would associate my novel. I started thinking about the post and decided that the whole thing should be about food. In my novel, food plays an important role. It’s symbolic of the manipulation that takes place in my novel-world. More importantly, it asks the question about the future of our own food. In my novel, Interpretation, people are led to believe that they are eating any kind of food that they like, even though they are not. If I told you why, it would be spoiler-city. They think that they are eating burgers when they are actually eating blocks of tofu. Because of a global food shortage and smaller areas for crops to be grown, soy is the only thing that the government is willing to grow. But instead of letting everyone know that they are eating this, they just cover up the fact. The idea had me thinking. Is something like this really possible? Not so much the covering-up part, but is the future of food going to be some kind of single-crop that is enriched with a vitamin slurry? I think about the slop that the crew members of the Nebuchadnezzar are forced to eat in The Matrix and the raunchier alternative presented in Soilent Green. Even if that isn’t the case, as a worsening global food shortage will inevitably cause prices to rise at the grocery store, what will be affordable? These things could only get worse in the event of a large-scale war or natural disaster. If we are to believe renowned technologist, Ray Kurzweil, food won’t even be food within the next twenty years. Kurzweil predicts that instead of eating, we will be fed by nanobots that provide nutrition directly inside of our bloodstream. He believes that the act of eating will become obsolete. Can you imagine this? Not eating. This must have a serious impact on evolution. Inevitably, our stomachs will shrink until we can no longer eat at all. We wouldn’t be ‘human’ in the same way within a few generations. Is there a solution? I have no idea. The only thing that I can think of is to try all the food that I can now, before we are fed by nanobots. Or even worse, before the only food left on Earth is tofu (sorry tofu, I do like you – kind of). So let’s go grab some munches, before there are no munches to be had! Am I the only one getting the creeps thinking about eating the same thing over and over, even though it tastes like the munches you’re imagining? I hope not! Really, where would my blog go if it would be like that… Oh boy. Dylan also gave me a little excerpt of Interpretation for you guys! A shadow hovered over him. Carl tried to speak to it, but words didn’t make sense. The shadow spoke back with a meaningless, muffled slur. Water entered Carl’s mouth, nearly choking him. Nonetheless, the delicious wet felt so good, like ocean refreshment in every bottle. That was the slogan, right? Carl laughed or cried, he couldn’t tell. For all he knew, he was dead. The shadow grew, saying something that he couldn’t work his mind around. Darker. Darker. Clock, what the hell was that clock song? Darker. The shadow drew nearer. Or maybe it was the darkness. It was bought on the morn of the day that he was born, And was always his treasure and pride… Ah yes, there it is. But it stopped short – never to go again – When the old man died. That’s the one. Darkness. 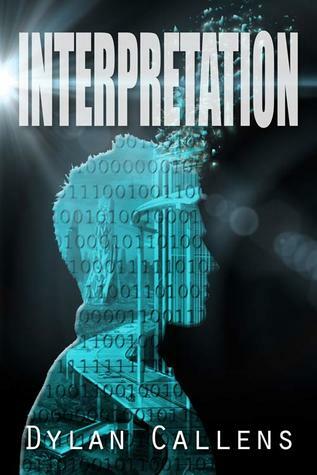 You can purchase Interpration by Dylan Callens on Amazon.com, Barnes and Noble, Kobo or iBooks! oh man, you’re killing me here 😀 that again sounds like a great book! 😀 i am intrigued haha!